As I’ve explained before, the family is off to Maui next week. Four days after we get back, we have a huge art show. So not only are we trying to do our pay-the-bills work and pack for a vacation, we’re also trying to finish all our last minute fiber/alpaca projects. For me (Kirstin), that means getting that baby blanket done. Well, I’ve finished the crocheting! 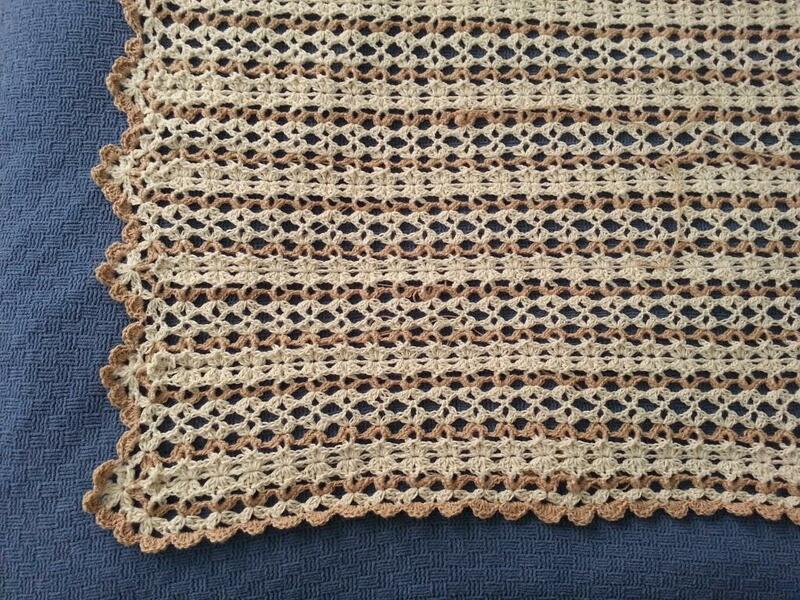 I still need to weave in all the ends (I hate that part), but I’m quite pleased with how it came out. Sometimes, a combination of a yarn weight and a pattern just works. I think this is one of those cases. The pattern was sort of worked in strips, with the last round of each strip used to sew them together. There are 9 strips and each has at least 3 ends…for a grand total of a bazillion ends to weave in. Blech. This entry was posted in fiber art and tagged alpaca yarn, baby blanket, blanket, crochet, crocheted blanket. Bookmark the permalink. 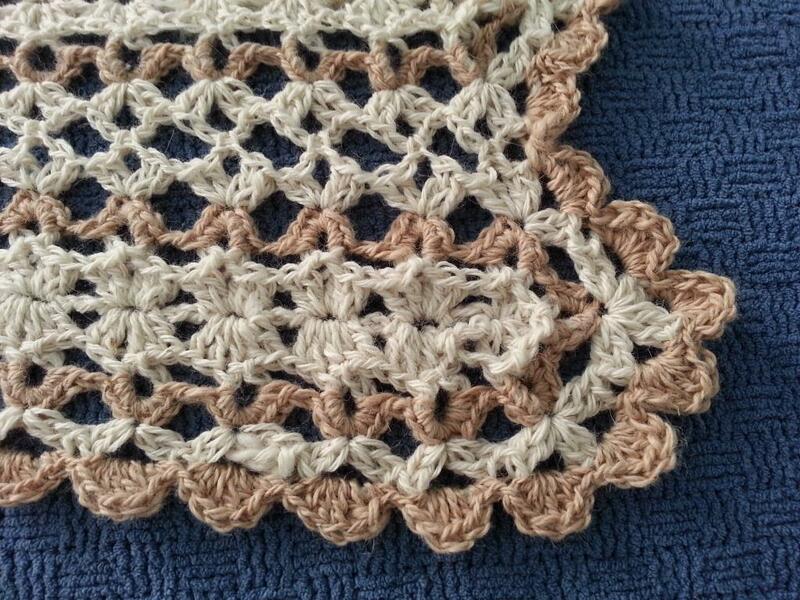 It is simply gorgeous – I agree with you, I hate weaving in the ends too! Really beautiful Kirsten. I hope that you have a wonderful vacation!